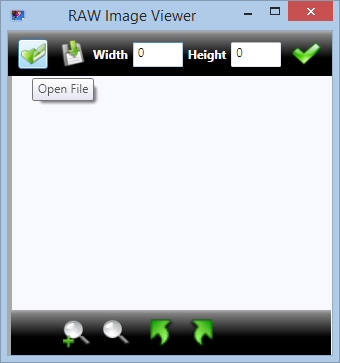 To open ARW files, just click on Open File icon. Window will pop up from where you can locate and open your ARW file from your drives. 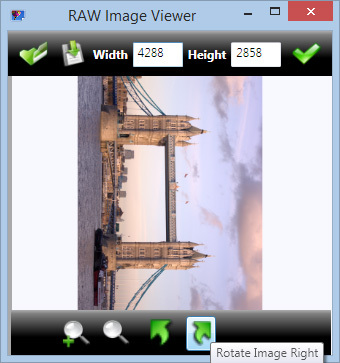 ARW Viewer have ability to rotate opened ARW image. Click on arrows to Rotate Left or Rotate Right. 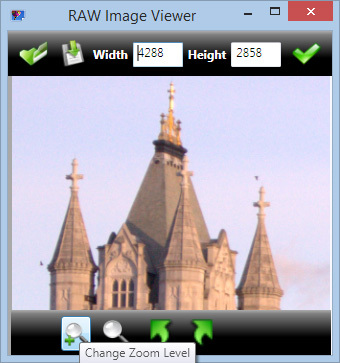 Another feature of ARW Viewer is zoom functionality with which you can zoom opened image or Fit Image to Display. 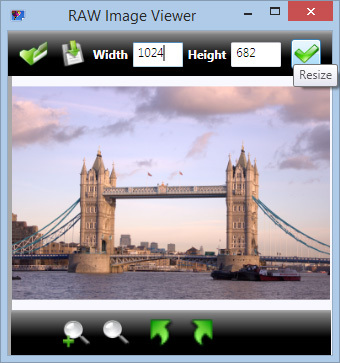 On the top toolbar, there is resize option where you can put desired dimensions and click on Resize button to resize opened ARW image to added dimensions. 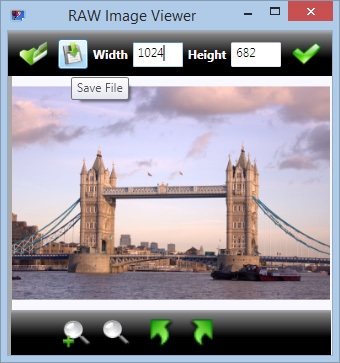 You can save ARW image to another more popular image file: JPG, PNG, GIF, BMP or TIFF, just with one click on Save File button.